Our product range includes a wide range of round sealing machine and food tray sealing machine. We are leading exporter of best quality Round Sealing Machine. Our provided sealing machine is available in different designs and specifications so as to meet the demands of our clients. The offered round sealing machine is manufactured using the best quality components and advanced technology in line with industry norms. 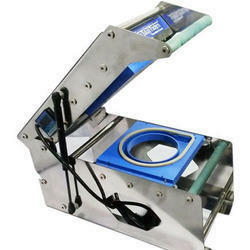 Moreover, this sealing machine is high on demand due to its high strength and fine finish. We are engaged in supplying the best quality Food Tray Sealing Machine. We assure our patrons that this sealing machine is designed in variegated sizes and designs according to the client's demands. 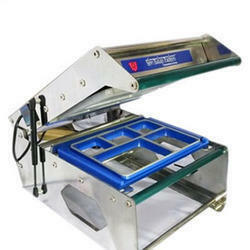 Food Tray Sealing Machine used for packaging purpose, our offered sealing machine requires less maintenance. Furthermore, provided sealing machine is tested against varied quality measures so as to ensure its quality.